The Voice Of the Philippines Season 2 Semi Finals had started on february 21, 2015 in Resorts World Manila. With the new sets of rules, ony four artist will move on to the Finals round. 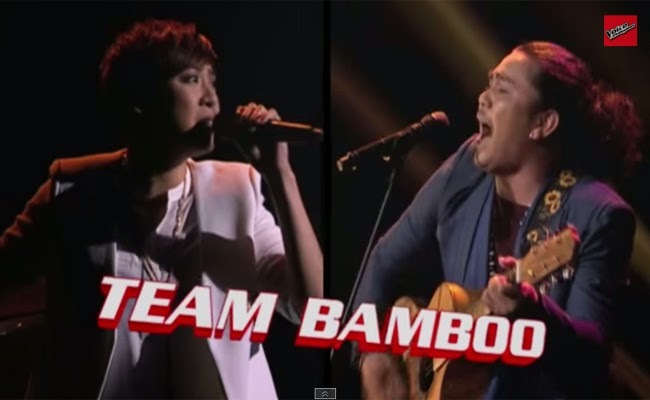 Team Bamboo’s Rita Martinez opted to sing ‘Himala’. She shared that after admitting her gender preference, her family had a rough time to accept her. She thought that she will never be accepted, then one day she had called her mother and asked they could ever accept her as she is. Her family had showed love and acceptance, and this was a miracle for her. Apl said that it was the most heartfelt performance that she had done. Bamboo shared that Rita is simply ready for the next level. She is able to navigate her songs and its difficulties. Rence Rapanot wanted to sing a love song. He said that a storm once destroyed their livelihood. He is inspired to bring a better life to his family and make their dreams into reality. Singing ‘Ikaw at Ako’, he wanted to tell a story about an endless unconditional love. Lea said that it was not her favorite piece of him, yet he is still one of a kind. Bamboo said that the song choice was beautiful. Rence said that the song seemed to have expressed a lonely feeling in contrast to a feeling of happiness that was originally expressed by the song writer. He was able to give a song a new meaning. Each artist will have two sets of performances. On February 21, each of the Top 8 artists will perform a solo piece, then the voting lines will be open after a team finished performing. On February 22, the artists will perform a duet and voting lines will then be opened once again. Each of the coaches will be given a hundred points to be divided to the two artists at their own discretion. The votes and coach’s rating will be combined to get the final rating.